The brand new trailer has been released for Sacha Baron Cohen’s new big screen outing Grimsby. 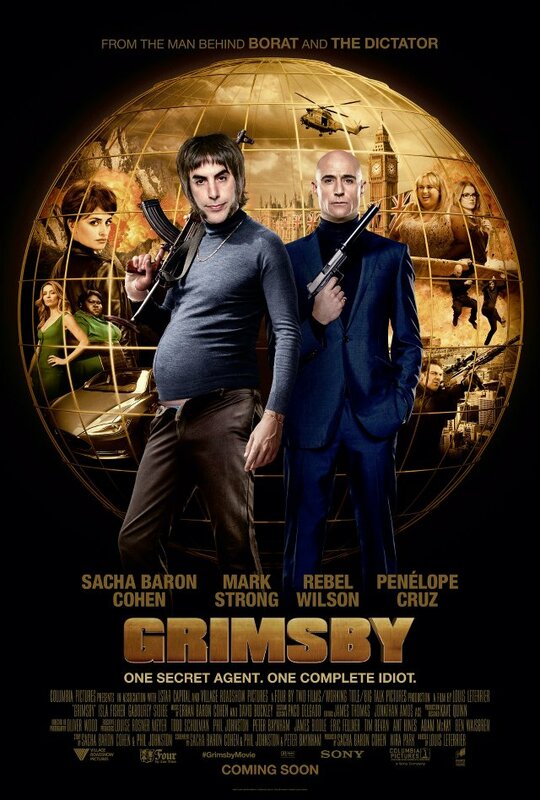 In the action-comedy Grimsby, when Sebastian Graves (Mark Strong), a deadly MI6 agent, takes on a mission to prevent a massive global terror attack, he must unfortunately reunite with his long-lost brother Nobby (Sacha Baron Cohen), a sweet but dimwitted English football hooligan… proving that behind every great spy is an embarrassing sibling. Nobby has everything a man from Grimsby could want, including 11 children and the most gorgeous girlfriend in the northeast of England (Rebel Wilson). There’s only one thing missing: his little brother, Sebastian, for whom Nobby has been searching for 28 years, after they were separated as kids. Nobby sets off to reunite with Sebastian, unaware that not only is his brother MI6’s deadliest assassin, he’s just uncovered plans for an imminent global terrorist attack. On the run and wrongfully accused, Sebastian realises that if he is going to save the world, he will need the help of its biggest idiot. The film stars Sacha Baron Cohen, Mark Strong, Isla Fisher, Rebel Wilson, Gabourey Sidibe and Penélope Cruz. It is directed by Louis Leterrier with a screenplay by Sacha Baron Cohen, Phil Johnston and Peter Baynham.